Ambergris Caye’s football club, the San Pedro Pirates F.C. informed their fans on Thursday, December 13th via their Facebook page that they will not participate in next year’s season of the Premier League of Belize (PLB). The announcement was made after the team fell short against Verdes F.C., and did not advance to PLB’s finals this year. The team’s management indicated that due to the lack of sponsorship and support in San Pedro, they cannot afford to continue existing as a body and thus, will not participate in the upcoming PLB season. The announcement on their social media account commended the team’s players efforts and thanked their fans. The management also thanked their sponsors, Travellers Liquors and Belize Pro Dive Center. “Unfortunately, we will not be in the Premier League of Belize next season. The reason being that there is no support for sports in San Pedro,” said the post. The island’s young team was formed in 2017 and adopted the Ambergris Stadium as its grounds and home. The football club was founded as an independent non-profit organization in the interest of promoting professional football among San Pedro’s youth. 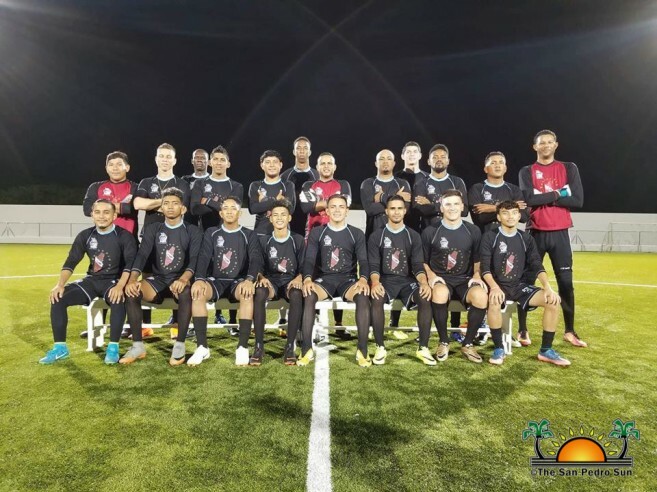 The San Pedro Pirates competed for the first time in the 2017-2018 edition of the PLB, where they did well, ending the season in the top five. It is uncertain at the moment when and if the San Pedro Pirates will go back to the PLB. The San Pedro Sun will continue keeping the sporting community informed on this matter.